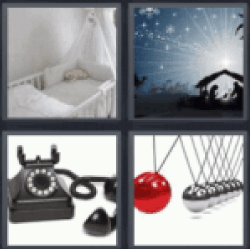 4 Pics 1 Word Baby crib. Night landscape with little tent. Black telephone. Silver balls and one red ball.